When I turned it in, he asked me who I envisioned as the two masters. I had honestly not thought about it until that moment. I rarely cast characters in my head. But I made the observation that all of us martial arts cinema fans had been dreaming about getting Jet and Jackie together for years, and that this might be the one. The more Casey and I discussed it, the more we felt convinced that it all made perfect sense and that we had a shot, even if very remote. Casey took it from there. After both Jet and Jackie responded to the material, he handled the extremely complex orchestration required to make it a reality. The script hooked them, but he did the reeling in and landing. G.o.D: The main story involves an American teenager who is whisked away on a martial arts fantasy adventure with the script borrowing elements from Chinese mythology and adventure stories. Were you familiar with these stories and the adaptations by the Shaw Brothers studios before beginning your own story? JF: Yes, [but] because I was telling the story to a 10-year-old American kid I framed a mix of Asian folk lore, literature, mythology, and kung fu kitsch within a classic western template and additionally used The Neverending Story, Wizard of Oz, and hints of LOTR. This made my son sit up and get hooked. The age-old hero’s journey template allowed him to experience elements outside of his own culture and appreciate them. My ultimate goal was that he would get interested in reading the Chinese classics and understanding that martial arts is a Zen practice, a way of peace. It worked and his studies of Shaolin Kenpo and Wushu have deepened. G.o.D: Several of your earlier scripts have also involve classic elements of adventure, including The Young Guns and the aforementioned Hidalgo. Are you an adventurer at heart? JF: Well, when my son came out to China for the shoot, he and I went up to Mongolia and crossed the central steppes on horseback, living with nomads. So, I guess, the answer is a definite yes. 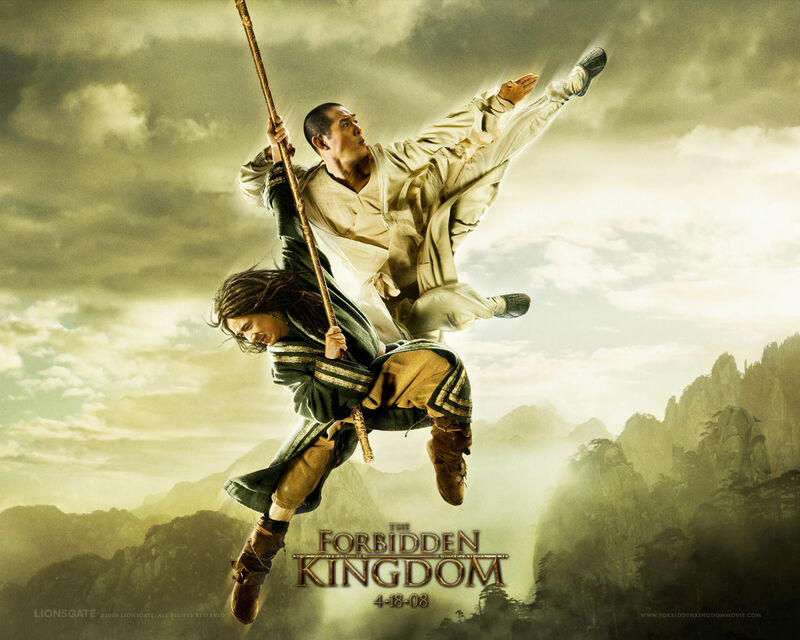 G.o.D: Michael Angarano’s character Jason is obsessed with kung fu and you have already mentioned your own background in kung fu. Did you transcribe part of yourself into him, yearning to learn kung fu from the best of the best? 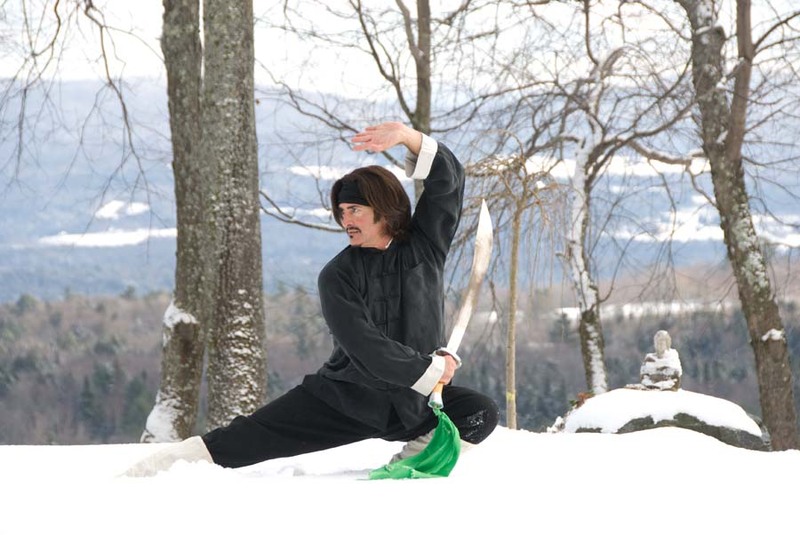 JF: I feel blessed that I do, in fact, study kung fu with a highly regarded master from an amazing lineage. I also got to study with a famous tai chi master while we were working in China. When I was a younger guy, like Michael’s character, it was my dream to study with bona fide masters. I feel fortunate that I have gotten to do that and also make a movie with the two Bruce Lee’s of this generation. G.o.D: Parts of the script are in Mandarin. Did you have experience with the language or take lessons to get a better feel for writing, or was it merely translated on set? JF: I knew some basic Chinese from kung fu study and some expressions I wrote in Mandarin. But the script was translated in advance. The translation process, and my constant rewrites for Jet and Jackie to make the dialogue tighter, gave me a crash course in Chinese. I know just enough Mandarin to get myself into really deep trouble. G.o.D: If we can switch gears, I wanted to ask about the remake of Akira Kurosawa’s The Seven Samurai that you are currently involved with, which according to the IMDB will involve paramilitary contractors protecting a town in Northern Thailand. G.o.D: Were you part of the creative decision to revisit what is arguably the greatest samurai film ever for a second remake? Can you tell us about any of the cast who may be attached or a director? JF: I wrote a draft quite a while back and I know nothing. The project was offered to me after Harvey Weinstein read a recent spec script of mine. I have great respect for Harvey and his love for movies is contagious. G.o.D. : This may be a loaded question, but what are your feelings about the out-of-control trend of remaking movies? I think some can be re-imagined and some can’t be. I do not believe any one should ever remake The Seven Samurai set in feudal Japan. Again, the [remake] in question is a contemporary exploration of the classic round-up movie and it has a few respectful bows to the master Kurosawa, but I don’t consider it to be a remake by any stretch. For the most part, I don’t like the process and I don’t like the trend. Fortunately, trends burn out. I’m almost old enough now where I’m half-expecting Fox to hire some kid to write a remake of The Young Guns. That would be an unsettling feeling, so I don’t take your question lightly. Ultimately, the trend reveals that despite new media, new technology, and 7,000 screenwriting fellowships and contests, there is a flat-out dearth of original material that studios will invest in. If one remake does gigantic business, they figure that’s the best game in town. That’s what I’m sensing any way. G.o.D. :Thank you for your time today John. 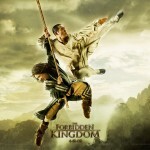 I will have to revisit The Forbidden Kingdom and look at it through the eyes of 10-year-old being told a bedtime story. Perhaps your idea will inspire other parents out there to create a unique adventure using their favorite characters for their children as well. Rumor: Will Smith as Captain America?